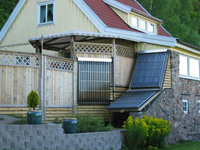 You are here: home » Basics » Basics » Heretofore » What is an Evacuated Tube Heat Pipe Solar Collector? 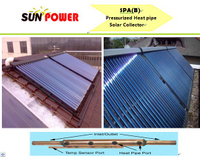 Evacuated tube heat pipe solar collectors convert energy from the sun into usable heat. 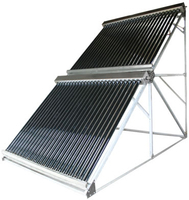 This energy can be used for hot water heating, pool heating, space heating or even air conditioning. 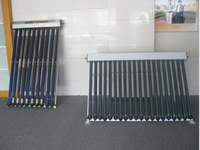 Copper vacuum pipe that transfers the heat from within the tube up to the manifold.